finally finished. 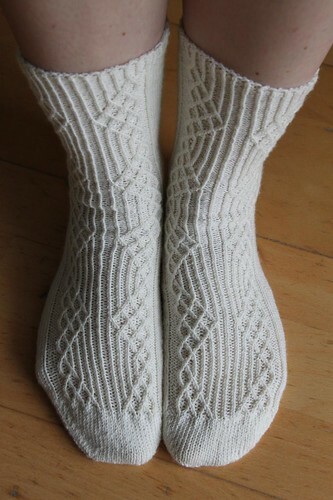 it took me 2 years to finish these socks. no idea why because i absolutely adore the pattern. it’s easy yet effective and creates a great texture. it also never gets boring. Wow! Those stitches look great. The texture looks like it would be so much fun to do.